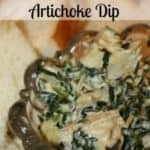 If you are looking for a great dip for your New Years Eve Party then you are going to LOVE This Easy Spinach Artichoke Dip. 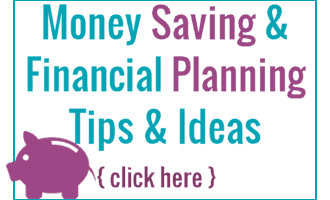 It is easy to make and it tastes amazing! You can then get bread, crackers or veggies to dip in it. 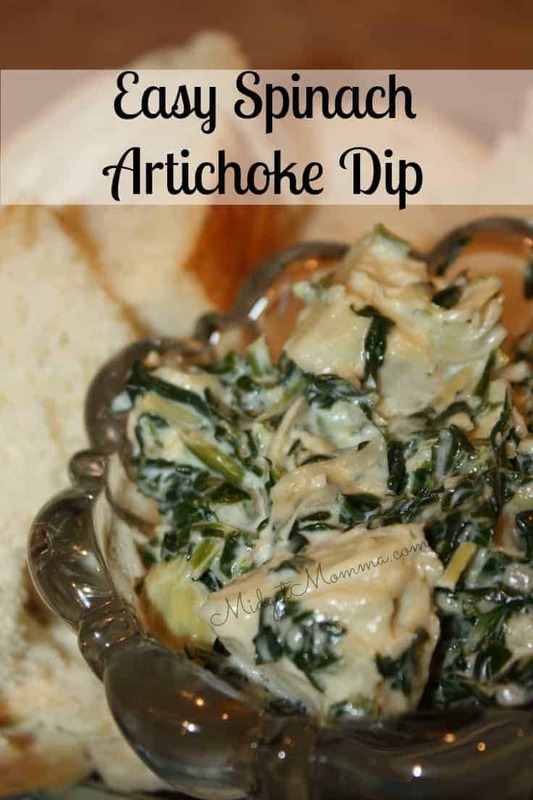 This Easy Spinach Artichoke dip will be the hit of your party! I made it and my whole family loved it! I used the recipe from the Sam’s Club site and added spinach to it and it was AMAZING! It only takes about 5 minutes to put together then 25 minutes in the oven! Perfect for while you are getting the rest of your party food together! 1 clove garlic, finely chopped or (optional). 2. Combine all ingredients in 1-quart casserole. Bake uncovered 25 minutes or until heated through. Serve with your favorite dippers. 1 cup grated Parmesan cheese about 4 oz. 1 clove garlic finely chopped or (optional). Combine all ingredients in 1-quart casserole. Bake uncovered 25 minutes or until heated through. Serve with your favorite dippers. 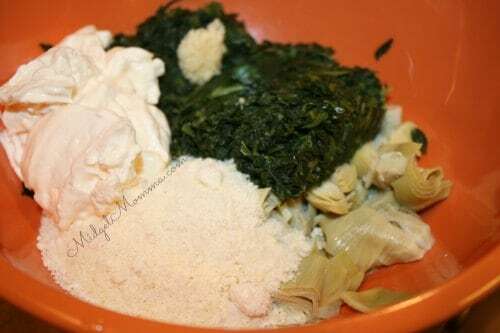 Making our easy spinach artichoke dip is a great way to add some veggies to your diet without a struggle. This is great served with toasted bread, tortilla chips, veggies, or just eating with a spoon!